Phil Murphy is not the sort of person who enjoys being in the limelight, so when Urban Developer approached him to be the subject of this feature, he was hesitant. However, the opportunity to discuss his two latest projects sealed his interest. 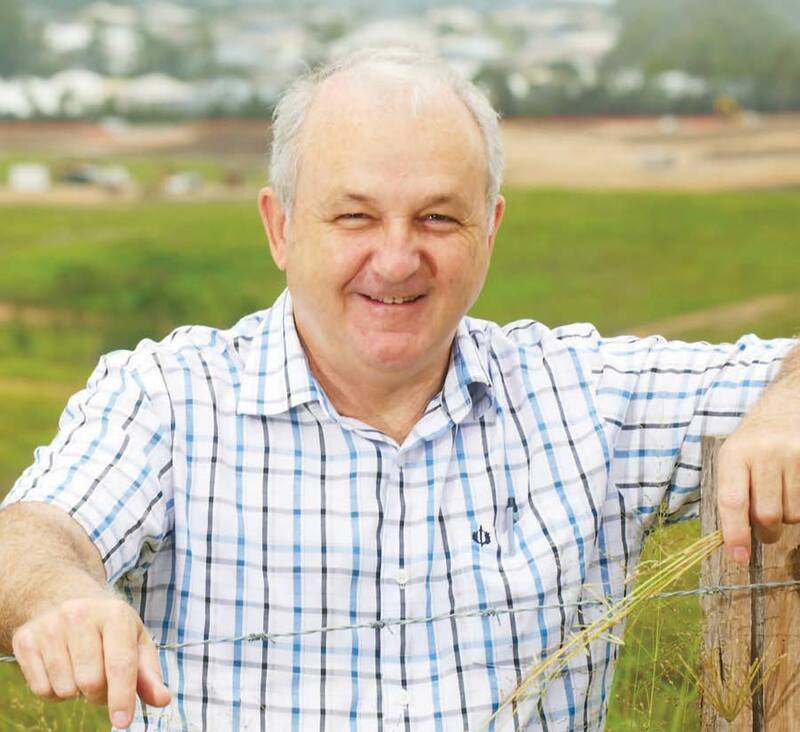 Along with his small team at Oxmar Properties, Phil has been delivering high quality, affordable developments to Queensland families for almost two decades. His success is built not only on hard work and attention to detail, but also on his commitment to open and honest negotiations and achieving fair outcomes. Now, following a decade of planning and negotiation, Phil is about to watch his two biggest ever developments materialise, one located at Narangba in Brisbane’s north and the other in Burrum Heads, just north of Hervey Bay. ‘Oakey Flat Road’ at Narangba will be a 1000-lot master planned community located around six kilometres from North Lakes. Burpengary Creek flows through the picturesque site, which will be serviced by the National Broadband Network and is aiming for a six star environmental rating. Another selling point will be the development’s proximity to Narangba Valley State High School, which in 2010 turned out the second highest percentage of OP 1-15 students in the state, second only to Brisbane Grammar School. “We’re going to call it a smart estate,” Phil says. 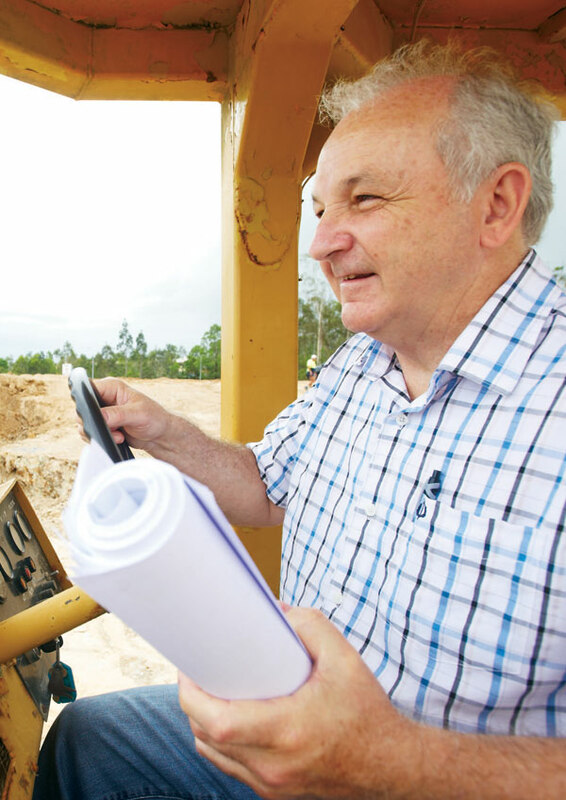 Bulldozers arrived on the site in November 2011 and Phil is eager to establish a display centre. He expects to have blocks for sale in May. Further north, ‘On the Beach’ at Burrum Heads is a landmark development that is set to transform the area. Situated on a kilometre of beachfront on the pristine waters of Burrum Heads, just north of Hervey Bay, the project is a 510-lot development being delivered over five stages. Oxmar Properties Development Manager Mark Moffat, a close confidant of Phil’s who joins us during the interview, says the development is a big vision for the area. Oxmar Properties bought the site seven years ago and commenced the development of foreshore lots and traditional lots between the foreshore and an existing lake. Phil’s vision was for the rest of the land to be an active retiree village, with facilities to look after recreational vehicles (RV’s) and securely store possessions. The product differs from other similar homebase projects in that RV’s are stored in a large storage shed together, rather than crammed onto the lot next to the home. Another unique feature is the presence of two multipurpose recreational spaces that encourage social interaction within the community. With 200 lots already on the ground in the first stages 1 to 5, the Oxmar team are eager to see their vision come to completion. The development is heavily treed and includes large areas of protected wetlands, as well as an area voluntarily donated to the State Government for use as an emergency helipad, which will benefit the entire district. According to the company’s website, Oxmar Properties has no competitors. As Phil explains, this relates even more to their customer care than it does to the products they deliver. “All developers, if they really put their mind to it, can endeavour to produce the ultimate product,” Phil says. “Our real point of difference is our commitment to our customers”. “When I sit down with a customer who is struggling to get finance or, for whatever reason, they just can’t get there, I’ll go out of my way to make it happen for them. “Whether that means dropping the price of land, giving extended terms or helping them with builders to get the best possible deal, my commitment is always to go above and beyond. “People are more important to me than property,” he says. Mark adds: “He sees and listens to every person as an individual. They’ve got their own story, their own circumstances, and he’ll listen to them. So if he can work out something that works for them, he’ll endeavour to do the best that he can”. Phil’s entry into the property industry began as a family affair. 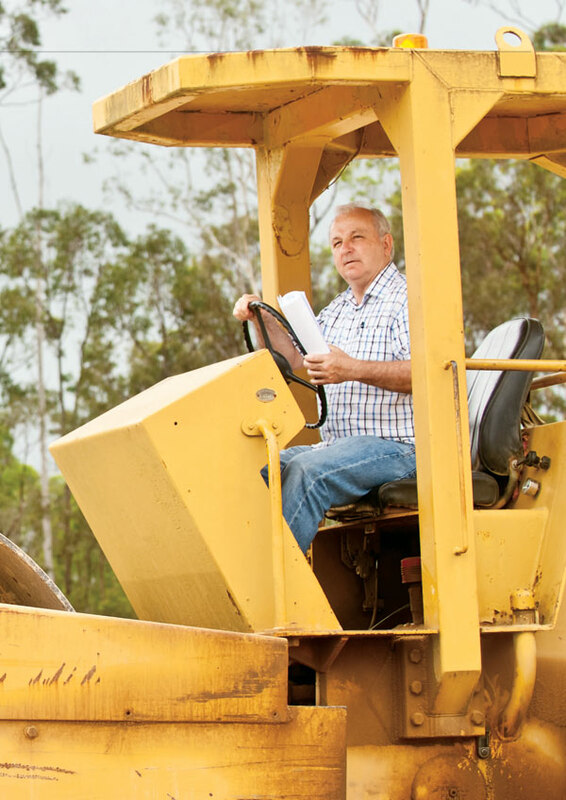 Following an early career as a car salesman, he followed his older brothers into property development, taking part in a small subdivision in Bundaberg. He cut his teeth selling broadacres to developers of the likes of Nev Pask, a long time mentor to Phil, as well as Mirvac, BMD, Villa World, Australand and Stockland. In 1992, Phil formed a partnership with an old friend from the motor trade, Peter Bettson, both with strong Christian principles. They purchased a block of land at Wellington Point together, which they turned into a 22-lot residential subdivision. From there, Oxmar Properties was born. Up until six years ago, Peter was what Phil calls a ‘handshake partner’ in the business. More than just a silent partner, Peter handled the financial side of the business and played an active role in building the company’s success. “He would come in and make coffee or collect the mail to keep active,” Phil says, “Or he’d come with me to look at land. In 2005, Peter’s wife had to undertake a triple-bypass operation, hence Peter made the difficult decision to step back from the business to focus on her recovery. “He broke down, he was in tears,” Phil recalls of the day Peter announced his retirement, “because he had always wanted to remain active in the business”. The two friends drove to a local cafe and began splitting up the business over a cup of coffee. “It took about 20 minutes,” Phil says. “We discussed what each [development] was worth and we met in the middle. So essentially, we started our partnership on a handshake and ended it on a handshake”. A commitment to achieving fair and workable outcomes is part of Phil’s overall ethos. “You can put as many words as you want into an agreement,” he says, “but if somebody wants to have an argument or dispute, they can find one word and fight about it until the cows come home. “I believe that if people look each other in the eye and say ‘that’s a deal’, that should be it. Unfortunately that’s often not the case. Almost every day in most organisations, there’ll be some dispute or argument that could have been avoided. I ask Phil if this notion comes to mind in his dealings with some local councils. “It does,” Phil laughs. “At different times, we’ve had up to five or six different problems [regarding particular sites] with councils. But if you can sit around the table and negotiate them out, keeping things fair on both sides, a reasonable outcome should always be reached”. When it comes to the broader development industry, Phil sees his involvement with UDIA (Qld) as a small way in which he can give back to the industry. His extensive knowledge of land value and development potential has been invaluable at times when the Institute has called out for information from developers. “UDIA works overtime, I feel, to make things happen for the industry,” he says. “I don’t know how many brick walls they must run into. To help keep the development industry flowing in Queensland must be a very difficult role. “Queensland is not just a mining state, the development industry is also critical to Queensland. We see now that the logjam in getting roofs over heads is now extending to these booming towns. “There is certainly room for improvement in speeding up the development process.” Phil is about to start a project in the mining hotbed of Gladstone and is currently sourcing builders to help deliver products in that region. As for other future developments, Phil says: “We’re always looking. However, the financial climate over the past couple of years has been the hardest I’ve struck in 20 odd years. There have been a few good signs in the past three months, mind you. As the business ramps up more than ever, Phil admits he finds it hard to switch off completely from his work. And while he has a focus on retirement living, that particular lifestyle is still far from his sights. “I love what I’m doing, and I’d love to still be doing it in 10 years,” he says. “It’s a passion of mine to be able to go back to a development that I’ve done say, 10 years ago, and walk up to any house, knock on the door and say “How’s it going?” and have them say “It’s still wonderful”. Outside of work, Phil is a loving family man and father of four children (one of whom Justin is currently his sales manager). He plays an active role in his church, contributes to countless charities and is instrumental in supporting school chaplaincy programs and prison ministries. He is also actively involved with community care organisation City Care. Another of Phil’s colleagues, Mark Mossop, sums it up: “Phil is a visionary. But his feet are firmly on the ground. In all aspects of what he does, whether it’s planning a new development or negotiating with people, he will always look at multiple views, he’ll always listen and he’ll always try and work a good outcome. “And the critical thing is that once he’s agreed on something, once the handshake has taken place, you can rely on Phil”.